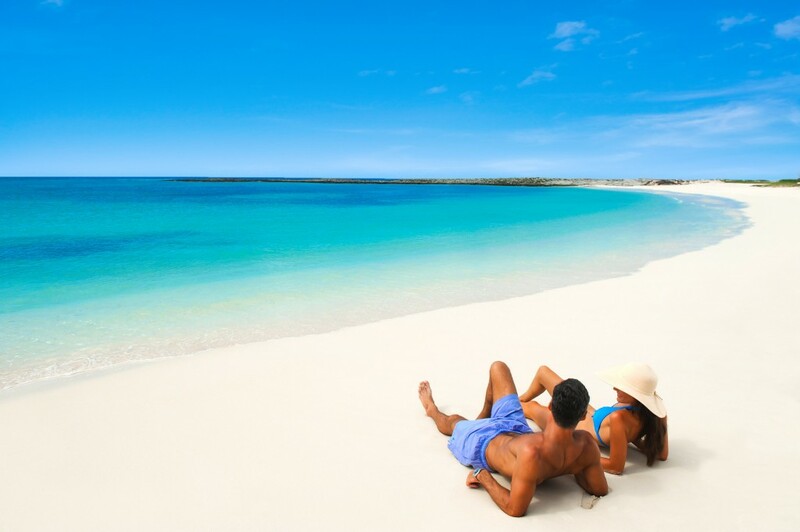 With cold temperatures blanketing the East Coast, Nassau Paradise Island hotels are incentivizing travelers to trade the snow for sand with a variety of new hotel deals and packages valid for travelers seeking a romantic getaway for Valentine’s Day or have started dreaming of Spring Break destinations. See below for a selection of winter getaway deals, which are also available at www.nassauparadiseisland.com/travel-deals/. Now through February 14, Atlantis, Paradise Island, the newly updated, Bahamian culture-infused resort, will launch its “Warm Up Your Winter” offer, perfect for travelers looking to escape the brutal cold winter months. With rates starting at $209, guest will receive up to a $300 Resort Credit when they stay at the resort. The resort credit value varies depending on length and location of stay. Terms and Conditions available via website/upon request. Guests who book a stay at Sandals Royal Bahamian Spa Resort & Offshore Island for a minimum of 3 nights can receive up to $1,000 Booking Bonus for travel through December 26, 2019. Rates start at $244 per person, per night, which includes all food, drinks and unlimited scuba diving and water sports, plus much more. The adults-only, all-inclusive Warwick Paradise Island – Bahamas is offering a “Valentine Love in Paradise” promotion, available for bookings with a minimum of three nights in Harbour Deluxe Balcony and Harbour Premium Balcony rooms. Rates start at $661 per night for two people and include all meals, drinks and snacks at five on-property restaurants, $100 Amber Spa credit per person, per stay, chilled Prosecco with chocolate covered strawberries and one 16 oz. rum cake on the second night of stay. This season, Comfort Suites Paradise Island is making it easier than ever for families to visit the tropical destination with its ‘Kids Stay, Play and Eat Free’ offer. The deal allows for families with up to two children under the age of 12 to stay with their parents for free, as well as eat at Crusoe’s restaurant for every meal complimentary. Conveniently located just steps away from the kid-friendly Atlantis, Paradise Island, Comfort Suites guests receive complimentary access to Atlantis’s Aquaventure and other amenities, with signing privileges at all restaurants. Starting rates are $196 per room, per night. The British Colonial Hilton is helping guests recharge with the “Breakfast & Wi-Fi” package, which includes breakfast for two adults for each night’s stay and daily, in-room Premium internet access for the duration of the stay. Rates start at $299 per room, per night. The all-inclusive hotel, situated on a 1,000-foot-stretch of beachfront, is currently offering travelers $400 hotel credit, free shuttle to Baha Mar Casino, free room service and 20 percent off at Black Angus’ Restaurant. Standard rates start at $252per room, per night. The Graycliff Hotel is celebrating the destination’s endless sunshine by offering 20 percent off for guests who book by April 14, 2018 and travel now through April 14.Nestled in the heart of downtown Nassau, Graycliff Hotel is housed in a colonial mansion that dates back to the 18th Century and features the first five-star restaurant in the Caribbean, a chocolatier, a Brazilian Churrascaria, and one of the largest private wine collections in the world. Rates start at $326.25 per room, per night. Bay View Suites Paradise Island is just a stroll from Paradise Beach and close to dining, shopping, renowned historic sites and popular attractions. Guests can enjoy a relaxing vacation in a one-bedroom suite with a savings of up to 30 percent off. Rates start at $185 per room, per night. Combining elevated Four Seasons service, with laid-back Bahamian style, The Ocean Club offers guests a chic and romantic experience with the resort’s romance package. The package includes daily breakfast for two, a bottle of champagne and dinner for two at Dune restaurant once per stay. Rates start at $1,295 per room, per night. Blending service, style, and fun, SLS Baha Mar creates the ultimate vacation from sunrise to sunset throughout its restaurants, day and night life, and hotel. Guests who stay longer can enjoy more SBE culinary offerings at Baha Mar with the “Save Up to 20% Off Plus Up To $200 in Food and Beverage Credit,” package. Using the promotion code “Winter,” guests will save up to 20 percent on room reservations and up to $200 in food and beverage credit per stay. Credits can be applied to food and beverage charges at the following outlets: Cleo, Monkey Bar, F’ilia, Katsuya, Bungalow Pool, and in-room dining.